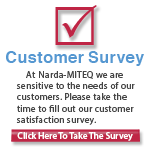 L3 Narda-MITEQ designs and manufactures a standard line of high quality Phase Shifters. 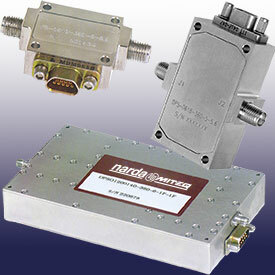 We specialize in developing phase shifters for critical space, telemetry, transceiver, radar and EW applications. Our solid-state Phase Shifters incorporate a wide variety of techniques to achieve high performance over a wide range of specification requirements. A combination of switched line, loaded line, and switched reflection techniques are used to achieve minimum loss and increased performance in constant phase designs. All Phase Shifter designs are implemented using microstrip construction which enables circuits to achieve high isolation and low VSWR. Integral TTL compatible logic circuits are included in all digital phase shifters as standard. Designs are optimized to handle power levels as high as 1 Watt CW.